On episode 4 of Lawyered, we’re chatting with the 2015 Municipal Lawyer of the year, Chris Barnett. Topics include: the Elliot Lake mall collapse, Ontario’s 10-year review of provincial land plans, and how one farmer sued his town for over $100,000. Chris Barnett is a partner at DLA Piper (formerly Davis LLP) and is the head of the Toronto office’s Municipal and Land Use Planning practice. He specializes in providing clients in both the public and private sectors with strategic advice on co-ordinating and addressing the various levels of approvals required for complex projects. He appears regularly before the Ontario Municipal Board and municipal councils, and has appeared before Environmental Review Tribunal and all levels of courts in Ontario. 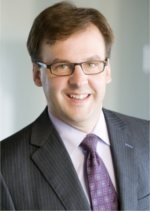 Chris is the Chair of the Municipal Law Section Executive of the Ontario Bar Association and was selected as the 2015 Municipal Law Best Lawyer of the Year (Toronto) by the Best Lawyers in Canada.